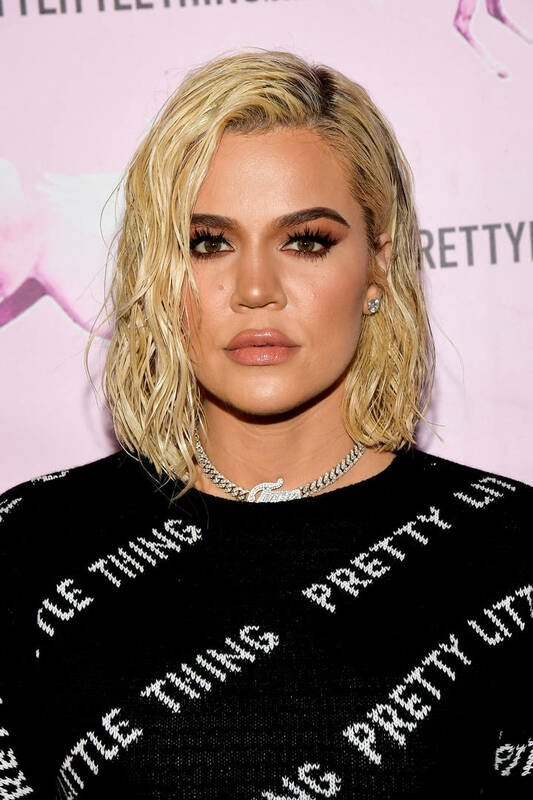 Home>Entertainment> Jameela Jamil Calls Out Khloe Kardashian For Flat Tummy Tea Ad: "Be Smarter"
Khloe Kardashian (and every other Kardashian and Jenner) are no rookies when it comes to promoting Flat Tummy Teas, lollipops, or dental whitening products on their Instagram. One of Khloe's latest shares to her feed is for a meal replacement tea and The Good Place actress Jameela Jamil isn't here for it. Jameela hopped in Khloe's comment section to lay out some facts she should probably keep in mind before promoting the "NON-FDA approved product" to the hundreds of women who follow the reality star. "If you're too irresponsible to: a) own up to the fact that you have a personal trainer, nutritionist, probable chef, and a surgeon to achieve your aesthetic, rather than this laxative product," she wrote. "And b) tell them the side effects of this NON-FDA approved product, that most doctors are saying aren't healthy. Side effects such as: Possible Flat Tummy Tea side effects are cramping, stomach pains, diarrhea and dehydration...Then I guess I have to." "It's incredibly awful that this industry bullied you until you became this fixated on your appearance," she continued. "That's the media's fault. But now please don't put that back into the world, and hurt other girls, the way you have been hurt. You're a smart woman. Be smarter than this." ENTERTAINMENT Jameela Jamil Calls Out Khloe Kardashian For Flat Tummy Tea Ad: "Be Smarter"